Hello and welcome to the magical Katie Abey Design shop! If you like puns, sarcasm and strange animal hybrids than you, my friend, have come to the right place. In this shop you will find a bunch of unusual and quirky things for you and your home. Everything is packed with happiness, wittiness, masses of motivation and a serious sprinkling of llamas, dinosaurs and cats. All of the artwork is created by serial nap taker and Mother of Cat, Katie Abey. 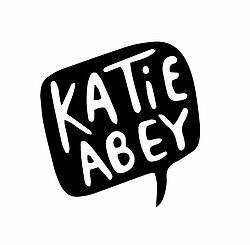 Katie works hard at pouring oodles of fun and imagination into everything she creates and does a new illustration every single day. Also on the team are Emperor Jeff, Dawn the Majestic and Baron Frank the Cat. Working from our brightly coloured studio in Derbyshire, we all make sure that every product is manufactured and posted out with love and care. 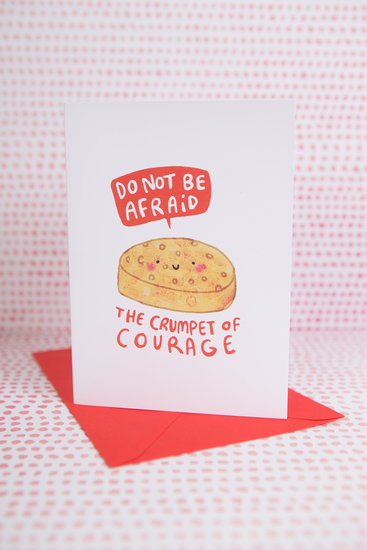 Expect everything from Courageous Crumpets and Delightful Dodos to Encouraging Elephants and Superhero Sloths. Enjoy having an explore and we hope you will discover something you love!